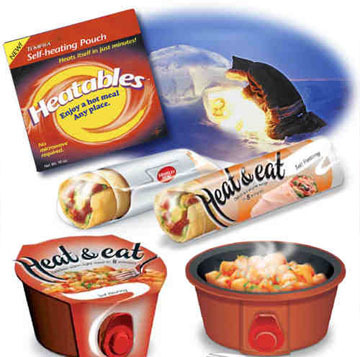 Wherever you are, you can now enjoy the convenience of a warm meal or beverage. Consumers are ready, so are we. Research proves consumers want on-the-go convenience. And, they want it fast. This safe revolutionary technology is self-contained, lightweight, and environmentally friendly. It can be applied to a wide variety of packages ranging from from stand-up pouches to trays, cups, and bowls.